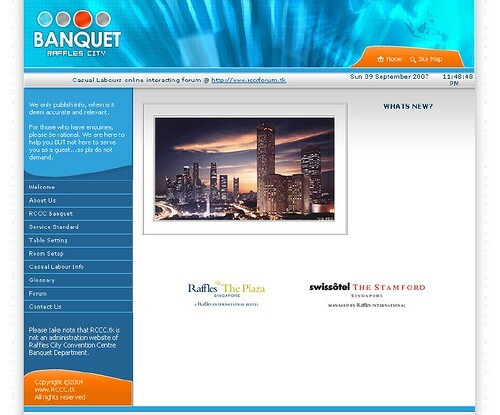 Involvment: Forum setup and customization. 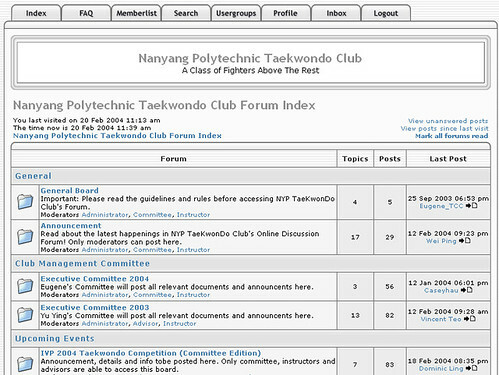 A forum for interaction for #Sembawang, IRC Galaxynet.org way back in 2003 – 2006 when Internet Relay Chat (mIRC) and ICQ was the big thing, until msn took over. Involvment: Everything from conceptualizing, design & scripting. A one-stop information site, help forum and knowledge-based microsite for casual labours of RCCC from 2003 – 2006. Involvment: Everything from conceptualizing, setup & integration. Idea for a club forum first mooted in 2003. 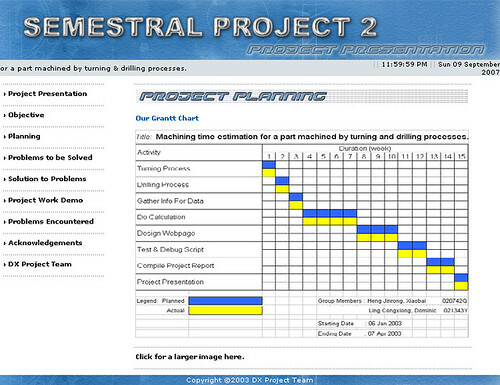 Conceptualized and setup in 2004 and site went live within 2 weeks of hard work. A major revamp on a new “cool”, “modern” and “hip” image for the sport. News & events sections remain, information about the club, the sport and gallery, with photo and video files for streaming.